Coffee brewing has been there since the beginning of time and if you are the kind that would rather make their own coffee than buy, then you will like French press brewing. And of course, even if your bean quality is top notch, to make the perfect coffee brew you need the perfect grind. 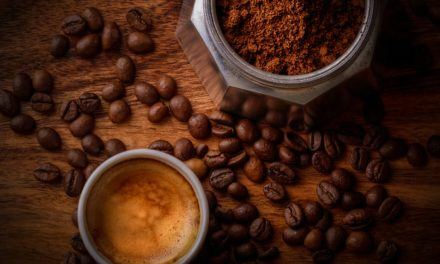 In this article, we are going to review the best coffee grinder for French press and look at the different types of grinders and how they stack up against each other. French press grinders can be used in so many ways from making espressos, cappuccinos to macchiato and so many more. Coffee grinder brands differ in specifications and features. You can purchase both electric and manual French press grinders. When choosing a French press grinder, you have to consider the features of each machine before making a decision. We are going to compare the different machines; hand operated and electric to help you to make the best decision when deciding on which French press grinder to purchase. If you are looking for the best manual burr grinder for French press, then look no further than the Javapresse manual coffee grinder. This grinder comes with a lot of features and is a high quality product for its price. It produces very fine grinds and the stainless steel body makes it all the more durable. With 18 settings, this coffee grinder gives you fine control over the size of grind. The fact that it is portable and compact means that you can make your perfect cup of coffee anywhere whether traveling or on a camping trip. The manual control setting makes this grinder both smooth and silent when operating. The grinder has also been tested to a high standard and claims to last significantly longer than other stainless steel blades. If you are brewing small amounts of coffee, this grinder is the perfect fit but if you prefer large batches, you might want to go with a grinder that has a larger capacity. The Javapresse grinder is slower than many other grinders on the market so may not be the best choice if you need to grind larger quantities on a regular basis. The adjustable 18 click settings gives you total control over the coarseness of your grind making it convenient for all your drip, pour over, French press, espresso and Turkish coffees. The grinder is hand operated, requiring no power, batteries or long cords to operate making it the perfect traveling companion. The removable hand crank mechanism eliminates noise by over 90% compared to electric grinders. This means that you can make your grind in the office or when everyone is asleep. This coffee grinder is highly durable Japanese engineering. 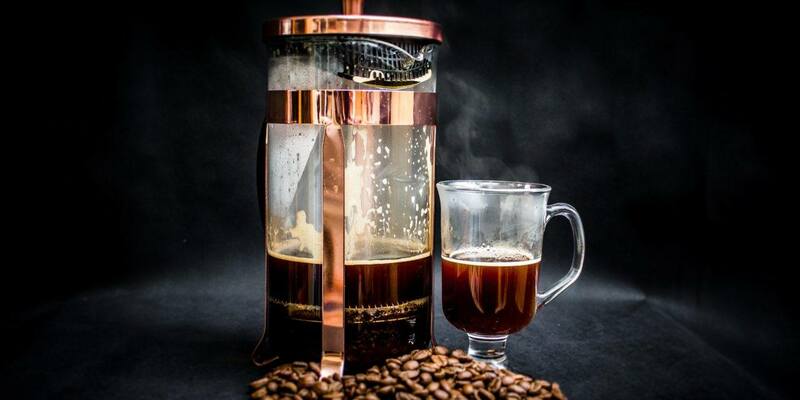 If you are the kind that likes their coffee homemade, the Javapresse manual coffee grinder is one of the best coffee grinders for French press, offering durability, ease of use and it doesn’t require electricity or batteries to power. You can take it with you when camping or hiking and you can still be assured of the same quality of coffee that you like. The Javapresse coffee grinder is the perfect fit if you don’t mind the arm exercise that comes with the manual function. The other good thing about the Javapresse coffee grinder is that due to the manual function, noise is minimized and whether at home or in the office, you never have to cause noise disturbances when making your grind for your perfect coffee cup. If you are looking for the best coffee grinder for French press on a budget, the Cuisinart DBM-8 Supreme Grind Automatic Burr Mill should be top of your list. This specific burr grinder for French press is easy to use, durable and affordable. Though its espresso quality is not as high as other grinders, it works perfectly for your French press and auto-drip. It comes with an 8 oz. bean hopper and has 18 settings making it easy to use even as a beginner giving you a lot of control when making your grind. It has an appealing design and doesn’t take up much of your counter space. It can be used to grind in large amounts for different brews from espresso to French press. The Cuisinart DBM-8 settings allow you to grind the way you want from extra coarse to fine. A lot of grinders have time settings but it can be difficult knowing how long to set the timer, especially if you are making a lot of cups of coffee. This model however, comes with a quantity setting allowing you to set the time depending on the number of cups you want to make from 4 all the way to 18. If you are making coffee for a lot of people, the Cuisinart DBM-8 will not disappoint because it has a large grind compartment, large enough to hold up to 32 cups of beans. To minimize mess and for your own safety, the grinder will not run unless everything is in place. On top of the quantity setting, the grinder is also set to turn off automatically when grinding is done which means that your grinder is safe from overheating when you forget to turn it off. The Cuisinart DBM-8 is also easy to clean since most of its parts are easy to remove. The grinder has 18 settings meaning that you can make your grind the way you want to. Cuisinart DBM-8 automatically turns off once the grind cycle is complete. The machine is made from stainless steel making it very durable. If you are looking to replace your coffee grinder with one of the best, then the Cuisinart DBM-8 model may be your perfect fit. Its high capacity is convenient and this model offers you durability, ease of cleaning, an extensive feature set and not to mention affordability. The Capresso 560.04 – infinity is another great French press grinder. This grinder makes it possible to make all types of coffee and the cutting edge design makes it the perfect fit for any kitchen. The Capresso has different setting levels from coarse to extra fine making it ideal for any kind of grinding. This model also offers a ‘auto-turn off setting’ safely feature for when you leave your bean container unlocked. The grinder comes with a time setting that can be set to run from 5 seconds to about a minute. The bean container can hold beans of up to 8.8 oz. and 4 oz. of ground coffee in the coffee dish. The upper conical burr removes easily enabling easy cleaning of the grinder after use. This burr grinder is made of stainless steel which offers excellent durability. The 100-watt motor is powerful enough to ensure that you get a quality grind every time. This grinder not only offers consistency when grinding but in general is a quality product at an affordable price. Among the top grinders for French press, The Capresso 560.04 is quite a great choice for any brewing method. One of the best qualities of this grinder is that it grinds quickly and it has four grind categories, coarse, regular, fine and extra fine. It grinds automatically with a time frame of five seconds to one minute. It has a conical burr design which is hard to find in other coffee grinders. Its container can hold a lot of ground coffee (4 ounces). Making coffee has never been easier. When you compare the Capresso 560.04 to other best French press grinders in this list, it has a great number of features at a reasonable cost. This machine is undoubtedly one of the best coffee grinders for French press and is a favorite for many coffee enthusiasts. It is pocket friendly and can be used anywhere; in the office, at home or at your shop. This grinder is not that heavy making it easy to carry with you. It is easy to use for beginners and boasts of an impeccable design that will look great anywhere. It also comes in a range of colors giving you the freedom to choose the one that best matches your décor. When it comes to the best coffee grinders for French press, the Bodum Bistro Electric Burr Coffee Grinder will not disappoint. This machine boasts many amazing qualities that ensure you are not disappointed every time you want to make a homemade cup of coffee and it’s very well priced. The Bodum Bistro is electric grinder and comes in a variety of colors from white, black, green, red and orange. It has a 14 grind system settings so that you can brew different kinds of grinds from fine to extra coarse. The borosilicate glass ensures that there is no spilling of grounds while the adjustable burr grinder provides the perfect grind for whatever brewing method you choose. With this grinder you can also set a timer for the amount of time you want your beans to grind. It has a lid that helps ensure that the quality of your beans is not compromised. The Bodum Bistro is made of aluminum, making it strong and durable. The grinder is also very light and a unique design making it easy to carry with you. The settings are easy to navigate even for beginners. Normally, coffee beans due to their oily nature will make a grinder dirty but you never have to worry about this with the Bodum Bistro as it doesn’t need cleaning after every use. It has 14 grind settings offering lots of options on the type of brew you want. Its design makes it very easy to clean and you don’t have to worry about cleaning it after every use, which doesn’t compromise subsequent grind quality. The Bodum Bistro produces very little noise meaning it can be used at home or in the office without running the risk of disturbing other people. It comes with just the right grind consistency from course to fine for a great coffee taste. If you are looking to get a superb coffee grinder for your French press without breaking the bank, you can’t do better than the Bodum Bistro Electric Burr Coffee Grinder. It comes in several different colors and will look fantastic in any kitchen. Its lightweight material offers convenience in that you can carry it with you anywhere. Compared to other similar machines, the Bodum Bistro is more durable and very easy to use for beginners. This is one of the most popular and best coffee grinders for French press on the market. This grinder features a stainless steel body with a conical burr and a grind setting of 60. The Breville has an electric timer and a large capacity coffee bean holder. This grinder is ideal for all types of brewing from Turkish to espresso. The machine boasts great looks and comes with an easy to remove coffee catcher. It has an LCD display that not only helps you adjust your selection but keep an eye on your brewing. This grinder is ideal for beginners as its controls are very simple to use. Its design and performance is what makes it one of the best burr grinders for French press. It has an auto-start function for convenience when grinding your beans. The Breville Grind Control is whisper quiet and designed to be used anywhere, whether at home or in the office. It comes with a 6-grind setting depending on the kind of brew you are looking for. 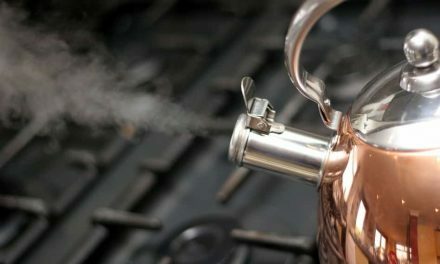 It can hold up to 12 cups of coffee beans meaning you never have to worry about brewing coffee when you are hosting a lot of people. The Breville is made of quality material guaranteeing durability. Is easily programmable with an auto start setting. Temperature control function ensuring that you can control the temperature of your beans thus maintaining quality. If you are looking to upgrade your coffee grinder, the Breville Grind Control is among the best that you can purchase. Though it’s a bit higher in price, if you are a coffee lover, you’ll forget about the price when you experience the quality cup of coffee it brews. This grinder is very durable, so you won’t have to think about replacing it any time soon. The impeccable stylish design will look great in any kitchen. If you love making your own coffee, the KRUPS GX5000 Professional Electric Coffee Burr Grinder guarantees not only excellent performance but durability as well. It grinds fast giving you the grind you desire within very short time. The price is more affordable than many other grinders on the market. Made of strong steel and sturdy plastic, the KRUPS GX5000 Electric Grinder offers great durability. If you are looking for a coffee grinder to make lots of coffee, this machine can hold 10 to 12 coffee cups. The burr mill design prevents overheating and the ‘automatic switch off’ setting ensures that it cuts the power once grinding is complete. For safety, the KRUPS only starts when all components are in place. Burr operating function which means that the grind quality will never be compromised. The nine grind levels means that you have fantastic control over the type of grind you want. The machine comes with a high capacity container making it easy to make large amounts of coffee at a go. If you are looking for the best coffee grinder for French press, the KRUPS GX5000 Professional Electric Coffee Burr Grinder is a great choice. With this machine, you have lots of options when it comes to making the kind of coffee you want and fast. It comes with extra features such as ‘auto-stop’ to automatically switch off when grinding ends. This grinder is not complicated and easy for anyone to use. 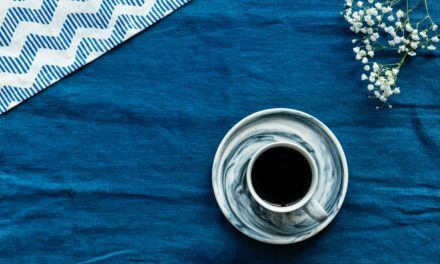 Are you a French press enthusiast who likes making their own coffee rather than buy? Then a coffee grinder and French press is a must have for you. Statistics show that most people prefer brewing their own coffee and so coffee grinders are becoming quite popular. But, as much as this is true, at the end of the day, it’s all about getting the best coffee grinder for French press whether you are on a budget or not. There are so many coffee grinders out there but before you purchase one, you need to take into consideration the features of each and decide what works for you. If what you are looking for can be made possible by a cheaper grinder, then by all means go for that. But if you need a more expensive, durable make, there are a lot of options. Go through the reviews for each product and decide which one fits your needs. 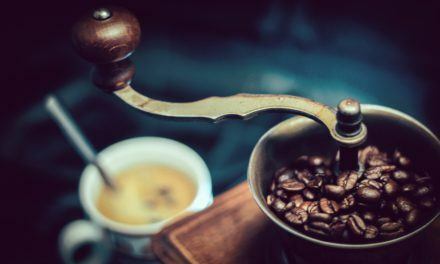 If you have never used a coffee grinder and are looking to purchase one for the first time in your life, this article will help you make an informed choice on the best grinder for French press taking into consideration the technicality of each grinder. Whether manually operated or electric, aluminum or plastic, high capacity or low capacity, this review has everything you need to make an informed decision on the best coffee grinder for French press.